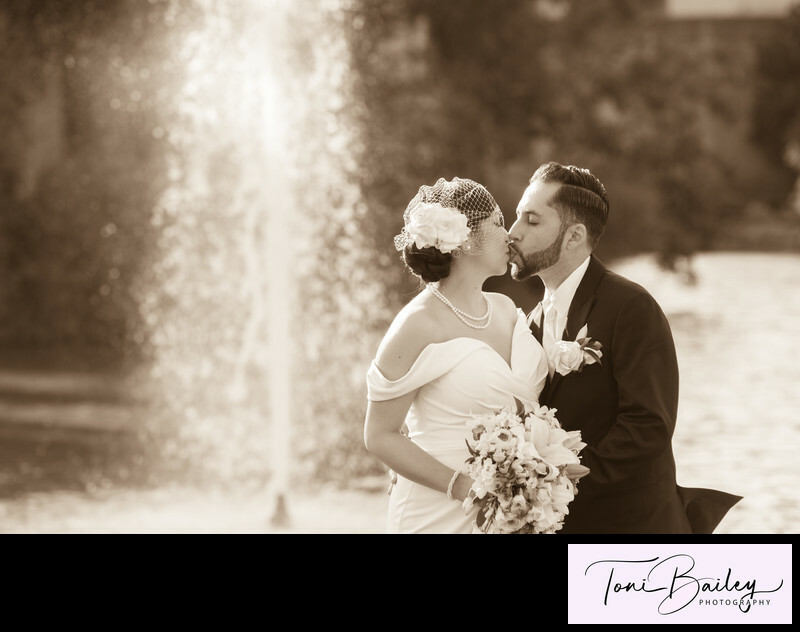 Bride and grooms love to showcase the fountain at the Palace of Fine Arts in their wedding photos. This lovely couple is enjoying a romantic moment in front of the fountain. The sepia effect is applied to the photo to give it an old fashion feel. We took these newlyweds throughout San Francisco and arrived at 3 separate locations for their wedding photography session.